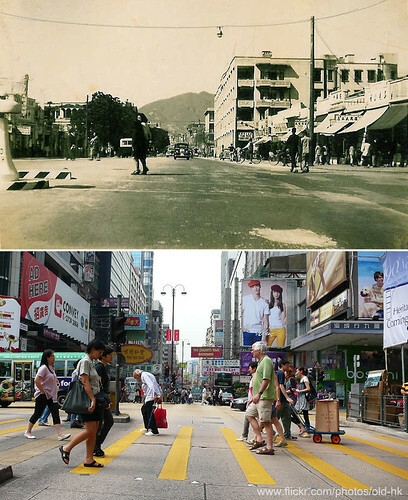 When Joyce Fitch lived in Hong Kong, rickshaws were a form of public transport, the only way to cross Victoria Harbour was by boat and there were about 1.5 million people living in the territory. 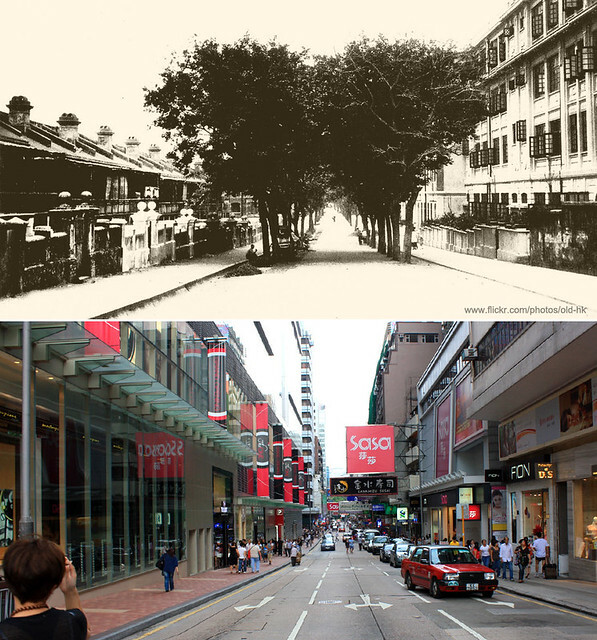 Fitch was born in England and spent most of her youth and adolescence in Hong Kong, where she lived with her family on Kimberley Road in Tsim Sha Tsui in the 1930s. I interviewed Fitch recently thanks to the English Schools Foundation’s Alumni News, and because it’s not often you hear first-hand about expatriate life in Kowloon before the war, I thought I’d post a portion of the transcript, which has been edited for clarity. 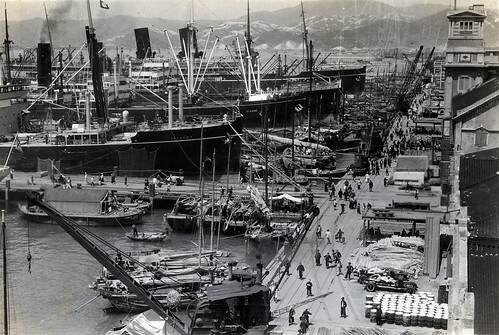 My father went out to China in 1920 as the captain of a ship for Butterfield and Swire, now Cathay Pacific. He was there trading up and down the coast, from Shanghai up to the Gorges and up to Tientsin. We were there in Shanghai for four years and then he was transferred down to Hong Kong. He was still working on the ship, going away and coming back. We had rather a checkered family life but we managed. My brother was in England so we would have to go back there every so often. 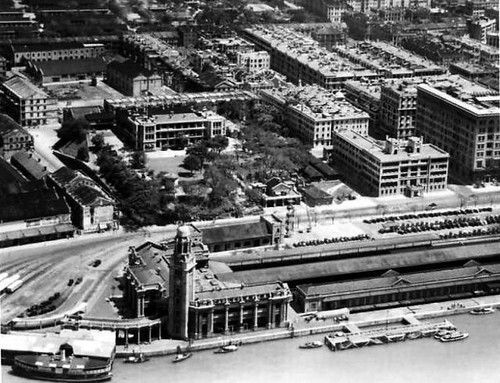 I went to the Kowloon British School near Austin Road — I travelled there by rickshaw — but I didn’t really have much time at school for any length of time. I was always coming back or forwards. Because my father was away a lot, our life was a little bit different than other families. My mother played tennis and mahjong. I would come home and the [servant] boy would be there and I would have a meal. I was a rather solitary child and didn’t always have friends around to play. I was very independent and could walk around Kowloon all over the place and not feel at all restricted. I would go to dockyards and watch the men work. We lived on Kimberley Road. The big houses there had gardens — Carnarvon Road too. Down where Carnarvon Road goes, there was a market garden, believe it or not. 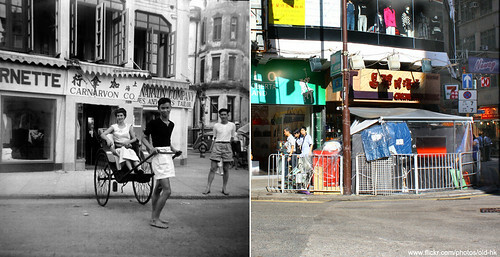 There weren’t many shops past St. Andrew’s [Church, on Nathan Road near Austin Road]. There was a sort of gap of houses and flats and maybe a few more shops further up Nathan Road, and then there was a theatre up there. I remember going to the pictures very often. It was just a very rural type area. Lots of gardens. I was really quite shocked when I went back to see it the next time. I think it was about 1970 that I went back first. I came back about three times — each time it surprised me more. 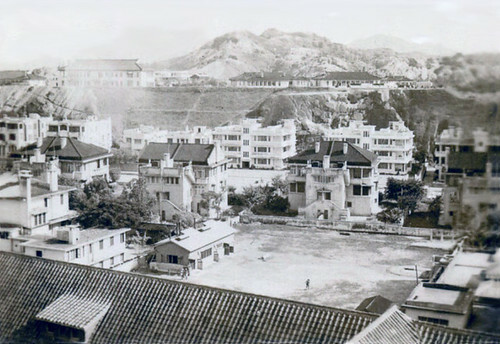 In 1936, Fitch’s school was renamed the Central British School and moved to more spacious premises in Ho Man Tin, which was then a hilly area well outside the urban parts of Kowloon. [Every morning] I walked to Nathan Road and travelled by schoolbus. We’d go along Salisbury Road until we got to a Chinese village and walk up through paddy fields. It was a long way. It seemed to be miles out into the country. I remember the school hours were very much earlier in the summer, about 8am to 1pm, and then in the winter they reverted back. We had summer outfits and winter outfits that i was very proud of wearing. I had no sooner started school then we had an emergency in England and my mother and I travelled there for several months. We returned to CBS in 1938. There were not more than 300 students, mostly European, Portuguese and sometimes Chinese, if they had a very wealthy father. It was essentially a British school. We had algebra, maths, geography, history — the usual subjects you would find in any school in England, except we were also taught Chinese history and culture. We learned about all the dynasties. By then, I had lots of friends. We’d go out to 11½ Mile Beach [today known as Lido Beach] on the way to Castle Peak. It was a beautiful beach. We’d spend the day there swimming. If we didn’t go there we would go to the YWCA and swim there. I was also interested in dancing. We just did normal things that young people do nowadays. We made our own entertainment. 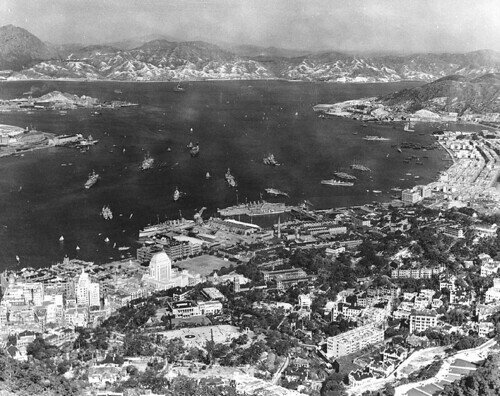 In 1940, it became clear that Japan had plans to invade Hong Kong. CBS shut down and many people began to flee the colony. My father was at sea, so my mother had to organize us. We had to get our suitcases and just go. We younger ones didn’t really know what was going on about the evacuation except that the Japanese were on the border, so when the Empress ships came in it was to be another adventure, although the troop ship style of travel to Manila was pretty dreadful. When we arrived in Melbourne it was awful. I didn’t like it one little bit. I don’t think anybody enjoyed coming down to Australia. I felt they were really behind the times. Hong Kong was very much a go-ahead place and I enjoyed the lifestyle there, and when I went down to Melbourne it was very much a backward, or at least very much subdued, living experience. Fitch dropped out of high school when she was 16 and headed back to England to study at business school, perhaps seeking some stability in her life. (“I always felt like an empty suitcase being carried forward, going from England to Shanghai to Hong Kong,” she said.) Her Australian boyfriend moved to England, where they married and eventually moved back to Melbourne, where they had two sons and a daughter together. Melbourne has much improved since the 1940s, she told me — “It’s become very cosmopolitan” — and I asked her what she thought about her time in Hong Kong, now that she has 70 years of hindsight. It was very happy. I don’t think any child of my vintage would say anything else. The freedom of being able to walk around anywhere, the enjoyment of anything that was going on around Hong Kong and Kowloon. I always felt i had a lot more experience than the Australian children when I came down to Australia. I felt I had lived a fuller life than they would ever have. 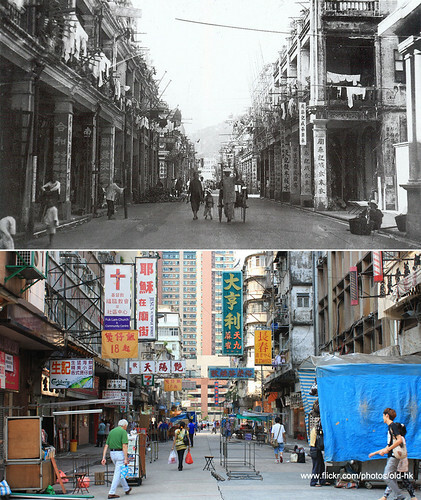 I always wished the war hadn’t happen because I would have had a very different life if I had stayed in Hong Kong. This entry was written by Christopher DeWolf , posted on Monday April 29 2013at 12:04 am , filed under Asia Pacific, History, Society and Culture and tagged Australia, Expats, Hong Kong, Kowloon, Melbourne, Personal History, Then and Now . Bookmark the permalink . Post a comment below or leave a trackback: Trackback URL. Thanks so much for posting this! Fascinating! I am working on a novel with an expat character from the thirties. Being able to read the interview and see the images together has been exceedingly helpful. Thank you!